An easy-to-use, secure booking engine that plugs into any website. 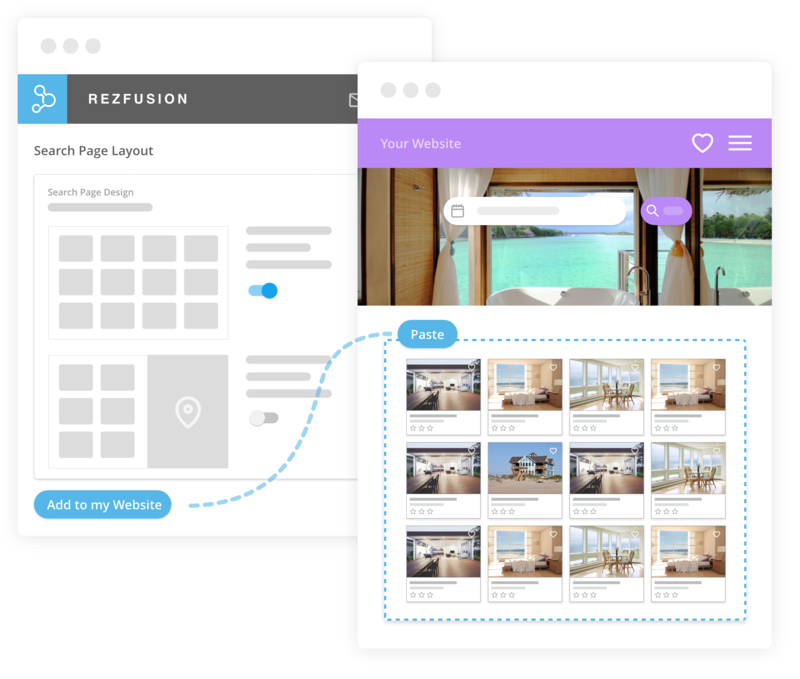 With Rezfusion Hub, beautiful and secure booking is effortless. Have multiple websites or even multiple property management softwares for your business? No problem: you can manage everything in one place with Hub. Add Hub’s industry-leading search to your website(s). Take the reins and take control of your listings. With Hub’s toolbox, it’s simple to create your ideal search experience – just cut and paste. And, you can count on Hub to seamlessly match not only your site’s design, but your company’s brand as well. Design your perfect rental details page. Your unique business deserves an equally unique rental details page. Hub gives you multiple options for photo galleries, availability calendars, rates, and amenities displays — putting you in the driver’s seat to highlight the details that matter most to your guests. Add a customizable, smart search widget to any web page. Customize the Hub search widget to easily highlight popular amenities, features, and locales. 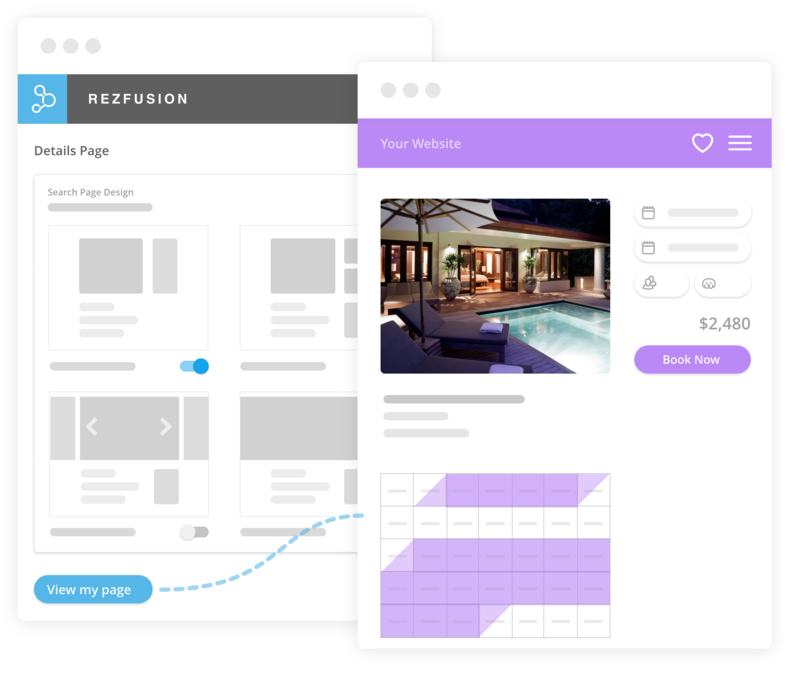 You select the fields you want to include — check-in/out, location, area, guests, pets, bedrooms, and more — giving you the ability to drive conversions on any page of your website.